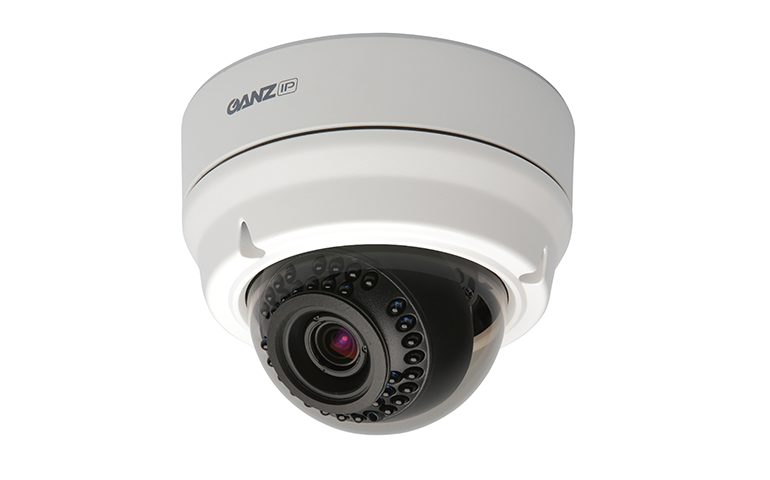 The Ganz ZN-DNT352XE Outdoor Infrared Dome Camera is great for outdoor security camera installations for home or business. This full sized dome cameras delivers 1080P resolution with its 1/2.7" Progressive scan image sensor, and has support for the optional GXi analytics licenses. With these optional licenses installed, you can truly gather valuable information that goes way beyond the video. With the GXi enabled (optional), the camera will calculate objects on the screen to determine size, shape, speed and trajectory, and then use this data to classify objects as people, vehicles or even animals. No you can set up with your NVR recorder to receive alerts only when a specific classified object enters an important area. This camera has a built-in ProSet 3-9mm electronic zoom lens, which can be controlled remotely for easy adjustment after installation. Infrared LEDs provide illumination even in complete darkness, combined with True Day/Night and Digital WDR Performance, to deliver great quality video even when you can't see. Up to 82' Infrared illumination in complete darkness. When paired with an NVR software like our AVM System, you can then receive alerts when people approach your business or home during certain hours, making your camera system much more valuable.